We took a day trip from Copenhagen to Malmö, Sweden for a few reasons. One was that it was a chance to go to another country. Yes, that’s exciting, to head to a country you haven’t been to before, that’s what we wanted to do. But the other reason, and my wife knew it, was to eat Swedish Meatballs in Sweden. Any foodie will tell you that it’s a dream to eat a local food that you’ve eaten many times before, in this case as a frozen meal or at IKEA, and see how much better it is in a local setting. Thus, we set out to find Bullen Två Krögare while in Malmö. 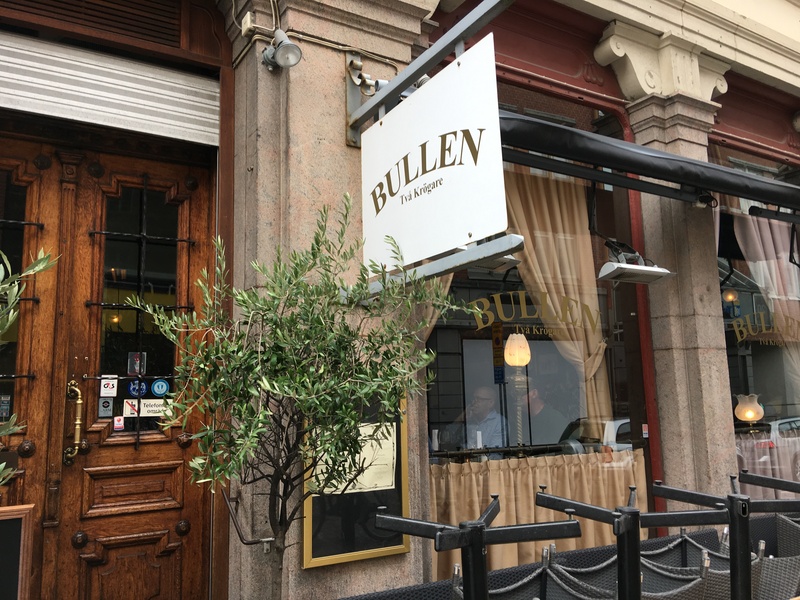 It has been reviewed as old, historical and one of the few places to get Swedish Meatballs in Sweden. After a walk, we found it! It’s a nice old pub, with a great lunch crowd. 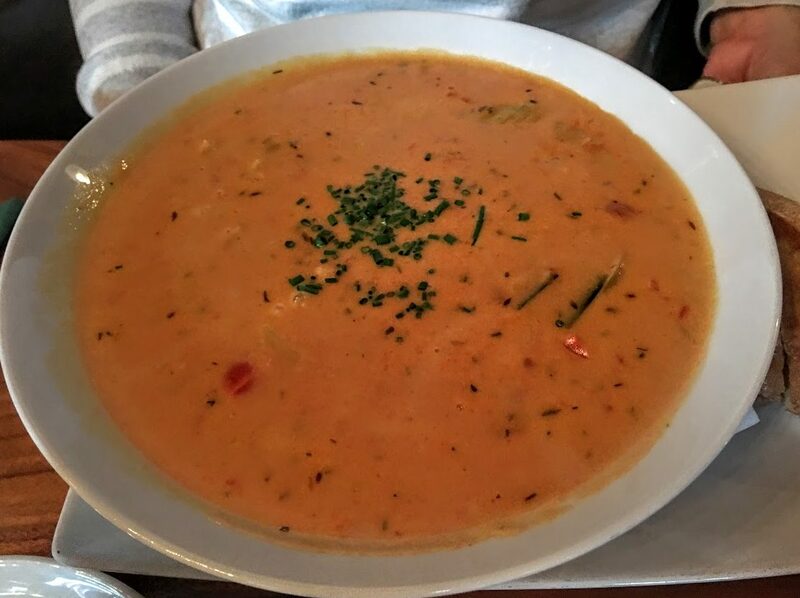 We had a nice Seafood Soup. Chock full of salmon, shellfish and others, it was a nice tasting soup that warmed my wife up. But I wanted the Meatballs. I needed the Meatballs. I had to have them! When I was in college, I ate a lot of Frozen Swedish Meatballs, the microwaveable kind from Banquet. It came with Egg Noodles, and that was a staple in my lean and mean college years. Then came IKEA. And their food court. Meatballs! Love them. Whenever we go to IKEA, we go to get the Meatballs. In Singapore, you go to IKEA to eat, not to shop for furniture. So now, I am in Sweden and I need the Meatballs. And out came five huge meatballs. This picture does not really show you how big they are. They are not as big as a fist, but one of them certainly cannot fit into an open mouth. Tender, tasty, and oh so much better than frozen ones or IKEA. 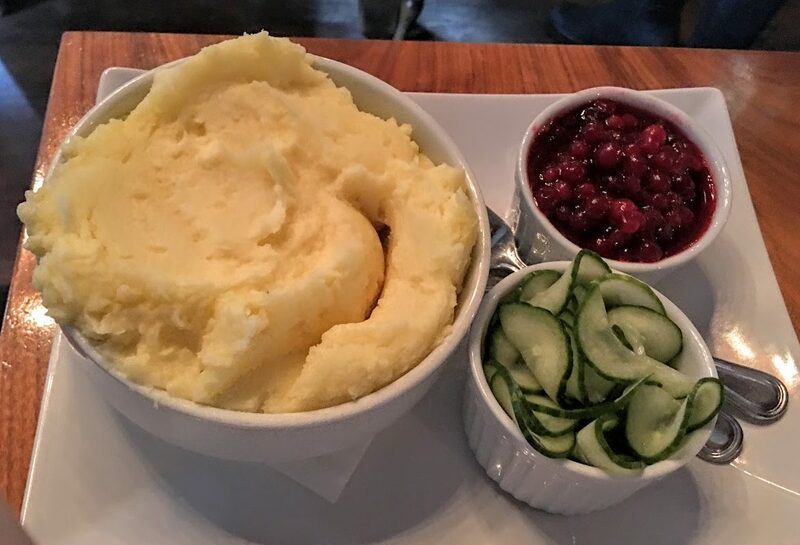 And with it came about 2kg of Mashed Potatoes, the Ligonberry Sauce and Cucumber Salad. There you have it. 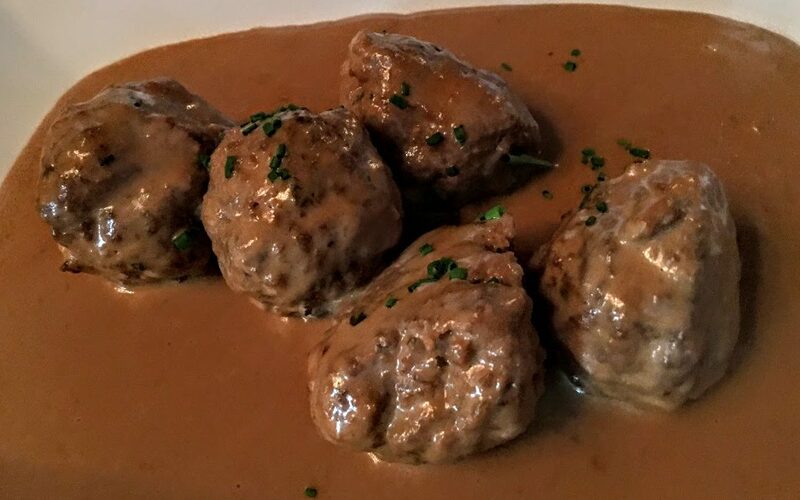 Swedish Meatballs in Sweden. Yup, I did it. And I loved it. Posted in Malmö, Sweden, Swedish MeatballsTagged Sweden, Swedish MeatballsBookmark the permalink.